So you work 14 hours a day and earn $100,000 a year. Wow! That’s great. You must be awesome. Well, I know a guy who records himself play video games everyday and earn a freaking $12 million dollars! $12 million dollars! I can see some of you already hating him. I’m with you too. Felix Kjellberg, a swede who runs the youtube channel Pewdiepie has more than 40 million subscribers. Why God? Why? Why are you so unfair to us. No, I’m not going to stop here. I’m gonna make you feel a lot worse. Here is the list of top earning youtubers. Forget the name, just look at the numbers, the ridiculous amount of money they make. That’s enough, you can be well assured that there are at least another 15 people who earn more than a million dollars. 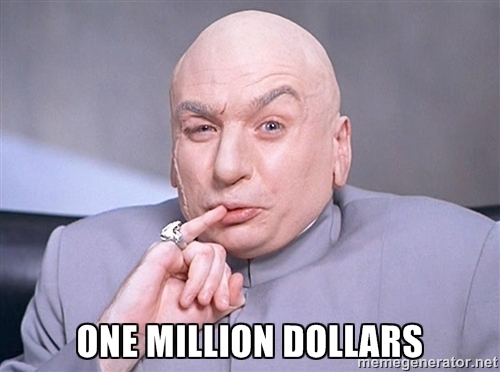 Yeah, that’s right one million dollars by posting videos on youtube. Stop, Stop, Stop Now! Stop creating that Youtube channel now. Don’t jump into action right away without prior knowledge. If you want to be as successful as one of them, read along. I have done a small case study of Pewdiepie. Read that first to figure what he did right and also where he went wrong. His 40 million subscriptions is not an overnight success. So read along before creating that money spinning channel of yours. Once upon a time, in the land of Youtube, there lived a Scandinavian named Felix Kjellberg. Like many other Youtubers, he too spent his time watching funny videos. However, on a certain auspicious day in the dragon year of AD 2010, he started a channel called PEWDIEPIE. The first video uploaded was him wandering in the fantastical land of MINECRAFT. He really liked the new world. He stumbled upon an unlucky zombie that had gotten stuck in a tree. He laughed at the zombie throughout his brief stay while speaking his native tongue - Swedish. Upon enjoying the new world, he decided to embark on a video game journey of other worlds. Now speaking in English, he became a solider in Call of Duty. While physically invisible, one could hear him speak and swear a lot. Yeah, he had a very bad mouth. The other Youtubers were attracted to his style. It was candid. Okay, lets now come back to our boring world. His first 100 subscribers which he considers the most important came only after a month or so. Then gradually, he switched from voice over to video commentary where one can witness his goofy antics. His speaking style was unique. It was as if he was speaking to a companion standing right next to him — only a bit goofier, as he frequently uttered random words (my favorite is Salad), or whatever seemed to pop into his mind. Also not to forget that he has a very expletive mouth. He swears a lot. A LOT. In present day, he not only makes video games commentary but also does a lotta other advertisements and reaction videos. For example, his bro army videos has quite a lotta fan followers. He kept updating himself with what’s trending. This only says that there are no hard and fast rules when it comes to making money off YouTube videos. The only important things that matter are creativity and keeping up with the trend. However, there are certain tweaks you can make for more views and therefore can reach out to more people. I’m sorry i’m gonna keep this very short since Video SEO by itself a huge topic that can make a tremendous impact to your videos. Therefore i’m gonna leave you with this article that covers in detail how to rank your video better. Yes. You’re more or less a filmmaker when you shoot yourself and post the videos on internet. Therefore it is only natural to focus on the post production which often makes or breaks your video. Editing is paramount to presentation. Great youtubers like Pewdiepie (you could’ve sensed by now that I’m obsessed with that guy), and Fine brothers edit their videos in such a way for engaging viewing. Take a look at the video below to understand what I mean. 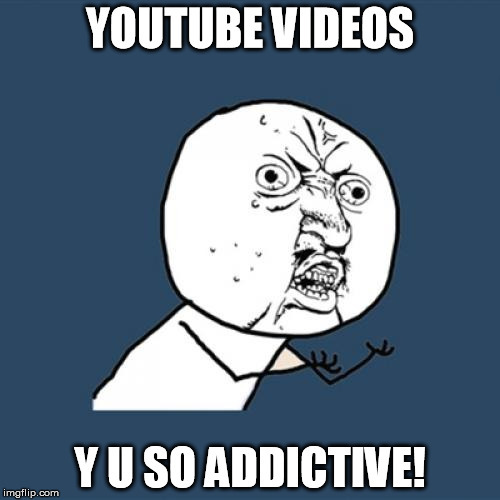 Nothing guarantees more views on YouTube than the addiction factor of your content. When people watch your videos, they should be able to watch it over and over and share it the same way. How do you do it? Do unexpected and funny things but exciting at the same time. The kind of viewers that watch videos repeatedly usually belong to the age group of teenage and under 30’s. Do things that would attract that age group. Excite them. Engage them. There are people who are always confused in life. What to make for dinner? Should I buy that shampoo? How does this software works? Does a horse breathes through its nose or mouth? So many confusions. If you have answers, then help them. Make tutorial videos about everything and anything. Make cooking videos. Make product reviews. Save people from confusion. Fun, creativity, engagement are the three pillars of entertainment. Nothing proves the aforementioned statement better than animation videos. But animation videos are expensive, very expensive to afford. That’s why people don’t upload animation videos. However, the trend is changing with the arrival of DIY animation tools. They are cheap, easy and fun. For instance, take a look at our own Animaker video. This was done by one of us at Animaker(not a really creative person and no, it's not me). But the characters are fun to play with and more importantly captivating. If you are creative enough, then you can make great money just by posting funny animation videos. Now to the most interesting part (if it becomes a reality) or also the most boring part (if it doesn’t become a reality). 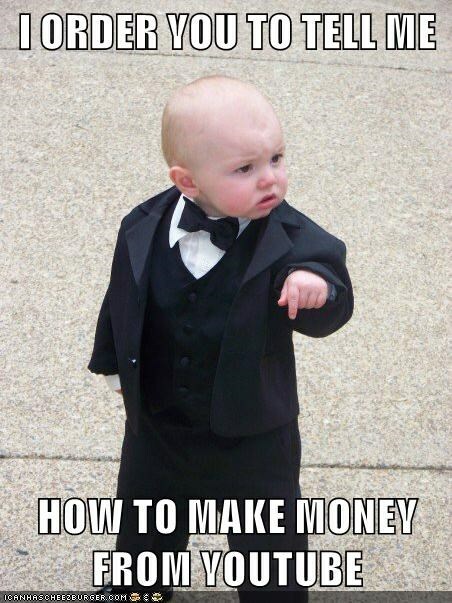 There are tons of youtube videos and blogs that tells you how to make money. People have written books on them. Read them. Here is a relevant one. My job with this article is to push you to make money through YouTube. I have given you facts and figures about how much people make. 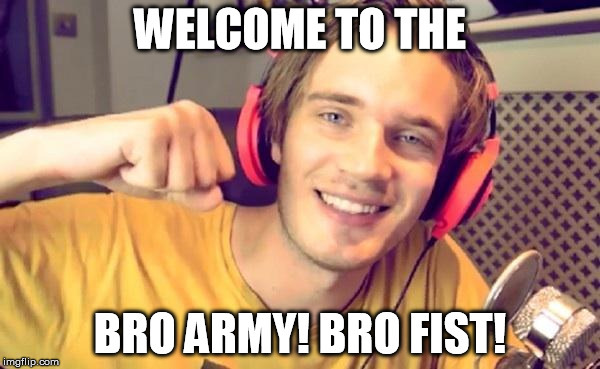 More importantly a brief case study of how the Bro Army leader had become a millionaire with the help of YouTube. By now you must be dying to open an Youtube account and start posting videos. So don’t wait, just go to YouTube and use your creativity and a little bit of hard work. Serious Money is searching for you. The question is - do you want to meet it? My dear readers, now that you have come to the end, please share with me those fabulous ideas that you are gonna put into Youtube money making scheme. Till then, Ciao for now. And may the force be with you!